To put it simply, an operetta falls somewhere between an opera and a musical. 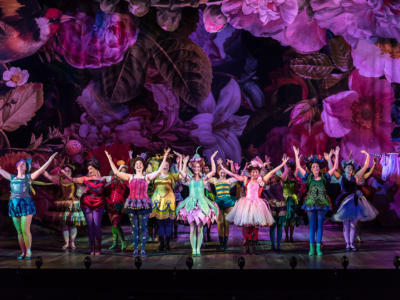 Like a musical, an operetta (most often) contains spoken dialogue, as well as song. 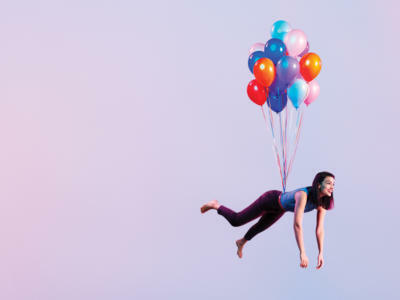 Operettas are often satirical and witty, and tend to be much shorter and less complex than traditional operas. 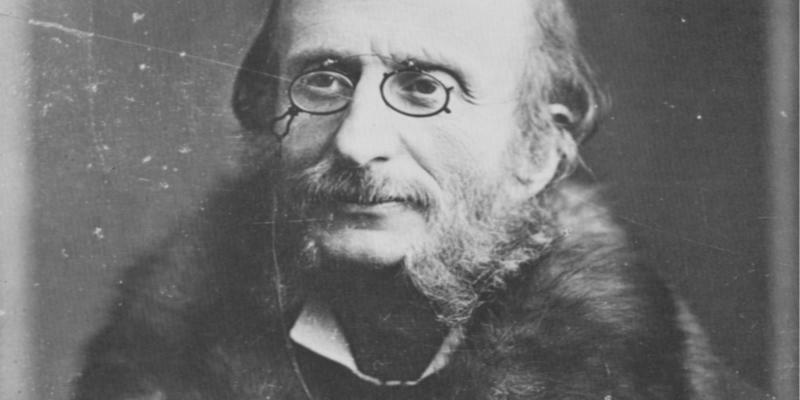 In the nineteenth century, French composer Jacques Offenbach made operetta an international art form thanks to works such as Orpheus in the Underworld (Orphée aux enfers), and Beautiful Helen (La belle Helene). In fact, during his lifetime, Offenbach wrote more than 100 operettas. His success paved the way for Strauss, Sullivan, and the musicals of the 20th century, which stemmed from the genre. Up until 1858, when Offenbach composed Orpheus, his theatrical licence prevented him from staging any operas with more than one act, or four characters. After negotiation (with Napoleon III’s government) he was finally allowed to stage full-length operettas, and Orpheus in the Underworld was premiered. To get back at the young Napoleon’s strict regime, Offenbach wrote an operetta that satirised Paris and its government. Surprisingly, the emperor allowed Offenbach to stage the operetta without any censoring. Like Offenbach, Gilbert and Sullivan, the British operatic duo, favour satirical operettas. They often poke fun at the establishment and use wit and humour as a way of expressing political opinion. Before Gilbert, a lawyer by training, died in 1911 he asked that The Mikado, an operetta set in Japan (although in fact a commentary on British issues), be updated to reflect current issues. Over their 14 operas, the comic pairing was able to express their political opinion on a number of pressing issues. The Mikado deals with capital punishment, something that was on its way out in the 19th century, although not yet abolished. The Pirates of Penzance’s famous Major General’s song parodies the military leader who, although well educated, knows basically nothing about warfare or technology. Johann Strauss the Younger, not to be confused with composer Richard Strauss, was conducting his own orchestra before his 25th birthday, and was admired by the likes of Wagner, Liszt and Brahms. 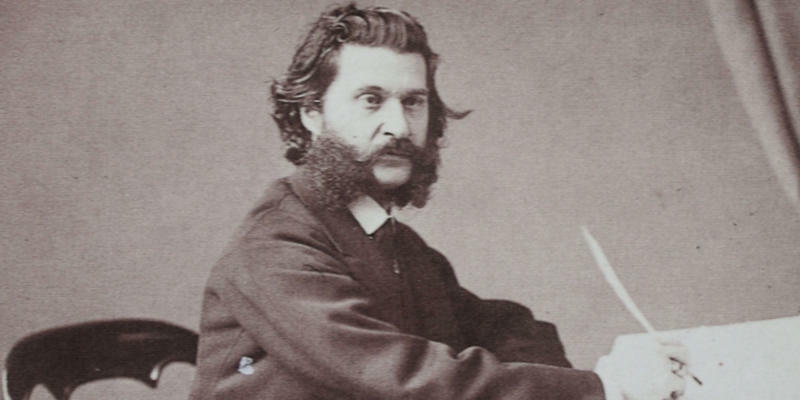 He modelled his operettas on the works of Offenbach, so much so that even the librettists for his most successful operetta had previously worked with Offenbach himself. Die Fledermaus, one of his most popular works, was first performed in Vienna at the Theater an der Wien in 1874, to an unmoved audience. It wouldn’t be for another two years that the Viennese audience took to the operetta, and another 16 years before the Vienna Opera added Die Fledermaus to its repertoire. Strauss’s satire was often generic, unlike Offenbach who commented on real-life matters. 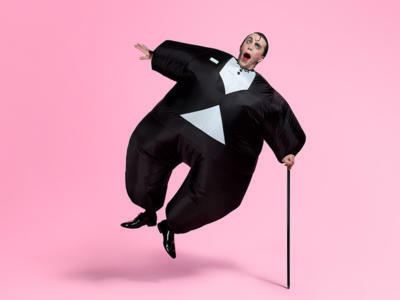 Also unlike Offenbach’s, and other operettas of the time, Die Fledermaus relies on the power of the orchestra, and only one role can be performed by an untrained voice. A few decades after Gilbert and Sullivan brought operettas to the London stage, composer Franz Lehár revitalised the world of Viennese operetta. Lehár’s The Merry Widow (Die lustige Witwe) remains one of the best known works in the operetta repertoire and helped the composer to become an international name. Moving away from the standard, Lehár fully orchestrated The Merry Widow, innovating the genre. It was the first show to try selling merchandise – the Merry Widow Hat, a black wide-brimmed hat, adorned with feathers, became a crucial part of women’s fashion for years to come. Operetta and musical theatre co-existed in the first part of the twentieth century, each using the other as inspiration. Musical theatre versions of operettas, were created and staged, until musicals flourished and became a genre of their own. Like the operettas before it, Oklahoma! and the other musicals of the time, commented on real situations and real issues. They were a perfect mix of dancing, singing, acting and drama. 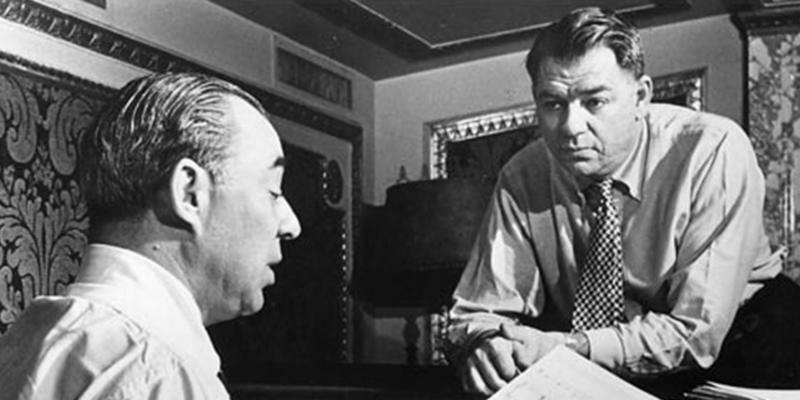 The Gilbert and Sullivan of the 20th century, composer Richard Rodgers and lyricist Oscar Hammerstein, went on to revolutionise Broadway with a number of successful musicals.